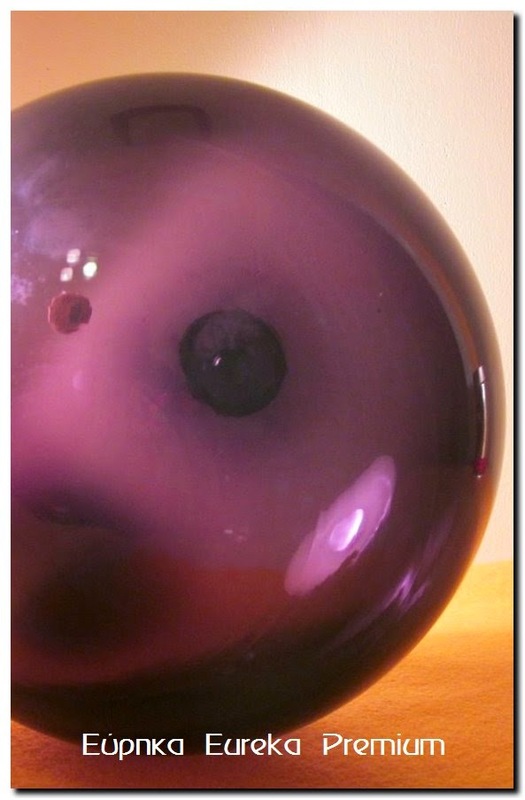 Very rare and huge, glass hanging ball from Danish Holmegaard. Design by Per Lutken for Holmegaard. 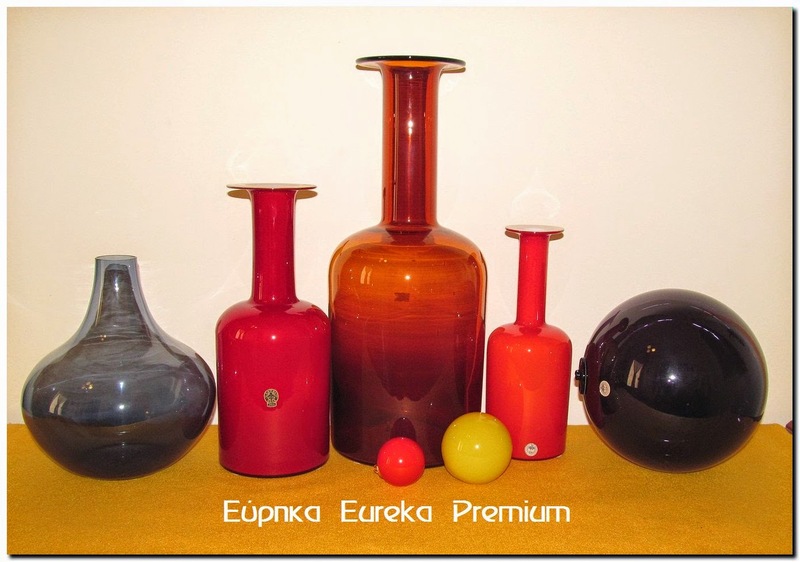 It is very nice as stopper on top of gulvases and other Pallet or Carnaby designs. Excellent vintage condition without damages, only light scratches here and there. Also there is a group of small scratches or manufacture flaw, but nothing is noticeable when the ball is hanging or use as stopper. The color is dark purple. With the original sticker. The ball is 8" H (and a bit more), 20 cm.